While it’s true that the entire financial system is rigged today, some markets are manipulated more than others. This is certainly true for the precious metals… particularly SILVER. This metal is the whipping boy of the Fed and Cartel Bullion Banks. Most would believe it’s impossible to manipulation a metal for decades… it isn’t. Especially, when the overwhelming majority of the public’s funds have been funneled away from commodities or physical assets and siphoned into the biggest Ponzi Scheme in history. You see, the manipulation isn’t just HAMMERING the paper price of silver during the slimmest trading periods of the day… that’s just a small part of it. The largest area of manipulation is in the WHOLESALE PACKAGING OF LIES* by the Fed, Cartel Banks and MSM stating that paper assets such as 401k’s, Retirement-Insurance Funds, Stocks, U. S. Treasuries are wealth, when in fact they are huge liabilities. (* term coined by James Howard Kunstler). If the public realized they had invested in the biggest ponzi scheme in history, there would be a stampede out of paper assets and into anything tangible. This would create a SHOCK-WAVE around the world as fiat currencies would implode and the value of commodities and physical assets would skyrocket. This post was published at SRSrocco Report on September 22, 2014. 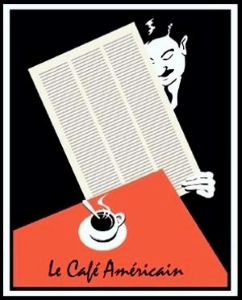 Italy manipulates its GDP numbers to show a recovery is in process. Existing home sales are plummeting and the real estate recovery is now over. 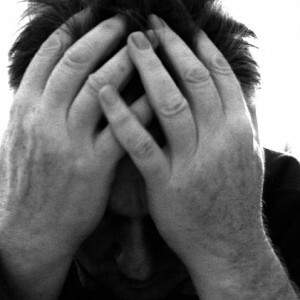 FATCA hurting Americans. China looking to dominate gold market, its going physical. Ebola is now contained in two countries. Afghanistan now has a new leader and is ready to sign the bilateral security agreement to keep US troops in the country. The tribes of Yemen have overrun the US puppet regime. U. S. coalition is falling apart, Germany, France, UK and Australia will not strike Syria. John Kerry still pushing that Assad used chemical weapons with no evidence. ISIS use chlorine gas in Iraq. Veteran tried to enter the White House. Gold and silver need to rise today and tomorrow so that laggards who have not yet invested (for the short term) can start to invest. Unless gold and silver show signs of a bottom formation physical buyers as well ETF investors will stay away from market. To me with every big fall in silver, the risk to return ratio is in favor of the buyers. A recovery in the US economy will result in higher demand of goods from China and other nations and thereby a full-fledged global recovery. Higher interest rates in the USA imply that the Federal Reserve is confident that US economic growth will continue to rise. Silver being an industrial metal looks more attractive to me for investment for a three year period than gold. I believe that bottom fishing never works. As long as spot silver trades over $14.00 there is every possibility of a rise to $27.00 and $35.00 in the next twelve months to eighteen months. Traders are looking at the developments in the currency markets for a direction in metals and energies. Cautious optimism over continued gains in the US dollar in October is all I can comment. Asian demand for bullion will be at its highest in October. US economic data releases will affect bullion if they are lower than market expectations. 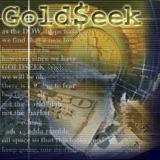 This post was published at GoldSeek on 23 September 2014. This post was published at Zero Hedge on 09/22/2014. The DJUSHB (Dow Jones Home Construction Index) is down 2.6% today. Several individual homebuilder stocks are down over 3%, which is more than the HUI gold stock mining index is down. August existing homes sales as compiled by the National Association of Realtors were released this morning. Once again, despite a Wall Street forecast for a 1% increase in sales over July, existing home sales dropped nearly 2% month to month and 5.3% year over year. This is based on the statistically manipulated and annualized rate. Using the not-adjusted numbers, sales dropped 3% month to month and 7.5% year over year. July’s initial estimate of sales was revised lower. Inventory expressed as ‘months supply’ spiked up 10%. The inventory right now – at the end of the selling season – is as high as was going all the way to 2011. This post was published at Investment Research Dynamics on September 22, 2014. SLV : no change in silver inventory/note the difference between gold and silver. Physical gold that arrives from the Bank of England is sent down to Shanghai who lately has been receiving greater than 40 tonnes per week with the lower gold prices. In silver, there is no reason to raid the SLV because there is no physical silver to provide India or China. This post was published at Harvey Organ on September 22, 2014. As the WSJ explains, in a multipronged attack, the administration took action under five separate sections of the tax code to make so-called inversions harder to accomplish and less profitable. The U. S. economy has had six full years to bounce back since the financial collapse of 2008, and it simply has not happened. Median household income has declined substantially since then, total household wealth for middle class families is way down, the percentage of the population that is employed is still about where it was at the end of the last recession, and the number of Americans that are dependent on the government has absolutely exploded. Even those that claim that the economy is “recovering” admit that we are not even close to where we used to be economically. Many hope that someday we will eventually get back to that level, but the truth is that this is about as good as things are ever going to get for the middle class. And we should enjoy this period of relative stability while we still can, because when the next great financial crisis strikes things are going to fall apart very rapidly. The U. S. Census Bureau has just released some brand new numbers, and they are quite sobering. For example, after accounting for inflation median household income in the United States has declined a total of 8 percent from where it was back in 2007. This post was published at The Economic Collapse Blog on September 22nd, 2014. Has The Gold Price Drop Ran Its Course? The gold price dropped on Monday September 22nd to USD 1212 and EUR 942. Dollar gold is close to retest its bottom for the third time since mid-2013, a price level which was seen only in the summer of 2010. For readers seeking to understand what is going on, we are providing a comprehensive view on the gold market. We take all perspectives into account: price and chart patterns, the technical picture, sentiment, the fuures market, physical demand, gold miners, the influence of the dollar, correlation with commodities, monetary policy and inflation/deflation. We also compare several indicators with the low price points in April, June and December 2013. With 20 different charts, it should be clear that we have only used market data in our analysis. In other words, this article contains the necessary information for readers to put the current gold price decline in its right context and explain the most likely scenarios going forward. 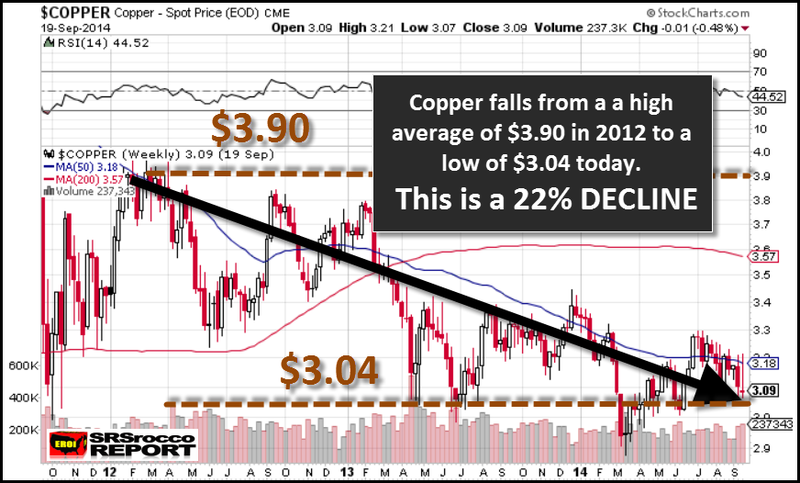 The daily USD gold chart clearly shows a downtrend since its top in September 2011, with two large trading ranges. The current trading range, between USD 1180 and 1450, is about to undergo a serious test: the bottom of the trading range is being tested. In case the USD 1200 to 1180 price level does not hold, the gold market is heading (significantly) lower. This post was published at GoldSilverWorlds on September 22, 2014. Six months ago the topic of click fraud at Facebook hit the headlines but was rapidly dismissed as the company’s share price rose implying that the world is great and we should not worry. With Facebook increasingly becoming the advertising outlet of choice for many of the world’s companies, MIT Technology Review reports on a study to dig deeper into just where the “likes” come from. As the authors note, recently, the number of likes of a Facebook page has become a measure of its popularity and profitability, and an underground market of services boosting page likes, aka “like farms,” has emerged. While careful to avoid pointing the finger too aggressively, the findings show that one “like” is not like another as the use of “honeypot” pages to generate “likes” attracts ‘users’ (bots) that are significantly different from typical Facebook users (i.e. non-human money-spending users). It has been several years since the disjointed, confused, and extremely disorganized Occupy Wall Street movement made any headlines. Alas, in the interim, the career prospects of those who comprise its up prime age demographic have gone nowhere but down while inversely impacting the nominal free time of said cohort, which is why we were somewhat surprised it took as long as it did for the same individuals, best known for camping out in Zucotti Park (until it started snowing of course), to stage a daring comeback. Which they did today, following a weekend in which New York City was overrun with “The People’s Climate March”, protesting against climate change by… leaving behind them tons of non-biodegradable garbage. It is this same group that has once again made its way all the way down into the Financial district, and specifically in front of the TV studio formerly known as the NYSE. Bidding Wars Stop; Millennials Leave Their Parents’ Basements, But Not For Homes; Pent Up Demand? This post was published at Global Economic Analysis on September 22, 2014. Positioning among “smart money” participants in the markets continues to show major divergences. While large speculators bought S&P 500 contracts at their strongest weekely pace in more than a year – shifting to a net long position – they also increased the net short Russell 2000 position to its ‘most short’ in five years. Large speculators also bought crude oil after eleven consecutive weeks of selling. In the rates complex, hedge funds maintained their 10Y Treasury long exposure while large speculators sold 2-Y Treasuries at the fastest weekely pace in more than three years to the biggest net short position in five years. – leaving, as BofA warns, 2Y susceptible to a squeeze pull-back. This potential squeeze extends all the way to 5Y as repo rates indicate a massive shortage into month-end. Gold and silver finished the day largely unchanged. There were the usual overnight and early morning antics. The mining sector was taken out behind the woodshed and beaten up a bit. The Shanghai Gold Exchange is now open for business. Some are concerned because of the participation of the ‘usual suspects’ on the exchange. I am not so concerned, because China is quit to issue some fairly draconian judgments for those that engage in non-sanctioned official and business corruption. Luckily Bill Holter speaks to this issue in his latest missive, so let him say it as he does so well. This Thursday, 25 September, is the options settlement for October metals contracts on the Comex. October is not an active month on the Comex for either gold or silver, but they may find a more lively turn in overseas trade. This post was published at Jesses Crossroads Cafe on 22 SEPTEMBER 2014. After the end of the cold war, the United States dominated world affairs for nearly twenty years. However, the situation of a unipolar world has changed since the financial crisis of 2008 to a now multipolar world that includes China, Russia, India, Brazil and South Africa. These powers are influencing and manipulating the conflict zones we have today to their advantage. By analysing and dissecting the issues concerning the major conflict zones on our world map, as well as illustrating the parties involved, this article will explain what political and strategic interests are at play and how the development in major hotspots shape the big picture. This will identify the geopolitical forces that affect the European continent and what future concerns and worries await us. Today is the first day of Autumn. This is the season to give thanks for all, our blessings and sorrows. There was another down day on Wall Street as the post-Alibaba retrenchment set in. Late in the trading day UK retailer Tesco’s stock was knocked down on news that they have overstated their profits significantly. Tesco trading in NY remained largely unchanged. The economic news this week is the usual, and the third revision of 2Q GDP which is dead fish now, unless there is a major unexpected revision. Death crosses; Hindenburg Omens; PBOC, BOJ, and ECB hinted at removing the punchbowl; crappy US housing data; and a Chinese IPO takeout hangover weighed on stocks with Russell 2000 the biggest loser (suffering its biggest high-to-low drop from Friday in over 5 months). The Dow is the only index holding post-FOMC gains (Russell down over 2%). Homebuilders are now down 4% from last week’s FOMC statement, post-FOMC high-flyer financials have tumbled red (catching down to credit), and only safe-haven healthcare is holding any gains post-FOMC (Biotech -3%). Treasury yields fell led by the short-end (3Y -3.5bps, 10Y -2bps) back under FOMC levels. The USD recovered European session losses to end almost unchanged as considerable AUD and CAD weakness outweighed GBP strength. Despite being clubbed like a baby seal in Asia, Silver rebounded through the day to end -0.3%, gold unch, oil down, and copper -1.6% as China stimulus hopes faded. S&P 500 lost 2,000; Russell is down 2.6% year-to-date (-6.8% from July highs); VIX jumped most in 2 months to ~14. BABA pinned at $90, HLF smashed -10%. In a Hyper-inflation Scenario, What Would the Value of Gold Be? What will it take for hyper-inflation to occur? Why hasn’t it already occurred? and What would the real value of gold be in this scenario? Americans today have never experienced the severe inflation that German citizens experienced after World War 1, but as we are bombarded with images of hip-hop artists throwing up limitless amounts of paper bills ‘in da club’ and the Federal Reserve printing trillions of dollars in financial stimulus money, known academically as Quantitative Easy, one gets the sense that there may soon come a time where we too are sweeping paper bills into the fireplace to heat our homes. Currently, there are 47 million Americans on food-stamps and 91 million people not in the labor force. These numbers are similar to the economic stagnation experience in the late 70’s when inflation was running consistently over 10%, but today we have difficulty reaching the Fed target of 2%. So what is going on? Well, truth is, if we were to calculate inflation the way we did in 1980, then the inflation rate would actually be 10%. So inflation is running much higher than what is officially being reported. The Fed is under-reporting inflation because they do not want to be politically responsible for causing the economic disparity and income inequality between the 1% and the 99%. This is being commented on and reported widely, but for the most part the fingers are not being pointed at the Fed so their plan is working. So with inflation at 10% why isn’t the price of gold skyrocketing? Turns out inflation numbers aren’t the only thing the Fed is manipulating. Even the price of gold is being manipulated. This post was published at The Burning Platform on 22nd September 2014. I described certain significant political cyclic effects in precious metals prices in previous blog essays. In particular for those contributions I focused on the 2 year cycle which corresponds to congressional electoral process. I also looked at and emphasized the 4 year cycle which corresponds to US Presidential elections. A third period that I looked at carefully is the seven to eight year cycle which corresponds to the cycle of duration of reelected US presidents. This cycle, in it’s eight year version may correspond to a model used by Martin Armstrong which he classifies at 8.6 years and considers to govern or to track general economic confidence. Among large cycles which I have not covered in this series of articles is a seasonal effect in pretty much all financial markets, and that could be described alternatively as a 1 year cycle, if one wished to do so, and that would be an accurate characterization of the seasonal effect. Another cycle which I like to keep track of is a central bankers’ cycle which tends to come in at approximately five years length. Precious metals traders will be able to come up with some of the banking organizations five year deals, agreements, or plans. It is also common for sovereign states to operate economic plans and targets with this timespan, and large corporations are candidates too. I thought I might show a picture of this 5 year cycle today, and also put several cycles together to see how they all interact with each other during Q4 2014. Now in order to be straight up about this, the existence of a five year cycle is a debatable point, and statistically it has a weak score. So this is an alleged cycle, or a possible cycle in the price of silver. You take a look, do your own examination of the facts, make up your own mind. I merely provide an illustrated interesting direction in which you might focus your gaze for a while to see whatever you can see. Of course there a a lot of possible cycles in silver, so a question that regularly comes up is what are the others saying? This post was published at TF Metals Report on September 21, 2014.